Traveling to John Wayne Airport can be a hassle, especially if you are coming from Los Angeles or San Fernando Valley. The trip is lengthy and the 5 & 405 freeways are notorious for heavily-congested traffic. Taxi or shuttle rides will drain you before you even get to your flight. 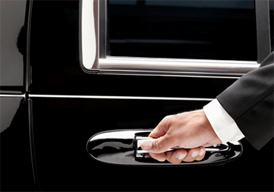 Treat yourself and reserve your limousine to John Wayne Airport today. We deliver dozens of clients on a weekly basis in a safe and timely manner to and from SNA. We will pick you up on time, help you with your bags, and allow you to comfortably enjoy the ride in a luxurious vehicle.